If you were asked to close your eyes and to tell the first image that comes to mind about Helsinki, you’d probably say that it is the Helsinki Cathedral. At least this is what it happens to me (I also think about the stone giants at the main train station, though). It is the most recognizable spot of the city. Since 1852, when the construction of the Helsinki Cathedral was over, this building has been imposing its beauty over the Senate Square of Helsinki, right in the middle of the city (map ). Its facade can be seen in many photos and during all kinds of media coverage, because many events and protests take place in front of it. The Helsinki Cathedral was modeled after this one. I think it looks better in white. 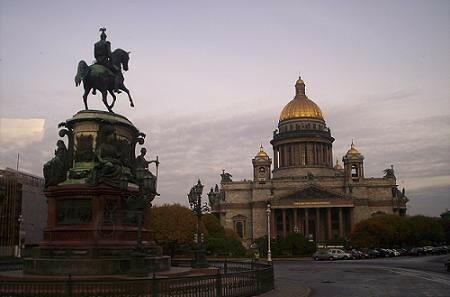 Since it was a tribute to the Tsar, the Helsinki Cathedral was inaugurated with the name of Saint Nicholas Cathedral. This, of course, changed after Finland became independent and now it is known simply as Helsingin tuomiokirkko. The architect that succeeded Engel, named Lohrmann, added four little domes that make the cathedral look even more like the one in St. Petersburg. 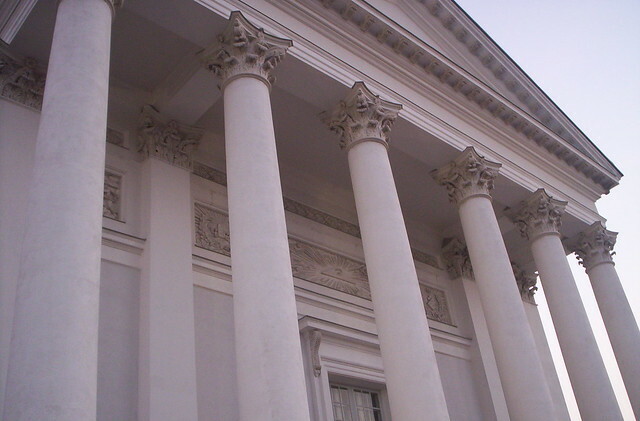 The cathedral’s style is neoclassic and follows the architecture design of a Greek Cross (its four arms are identically long). 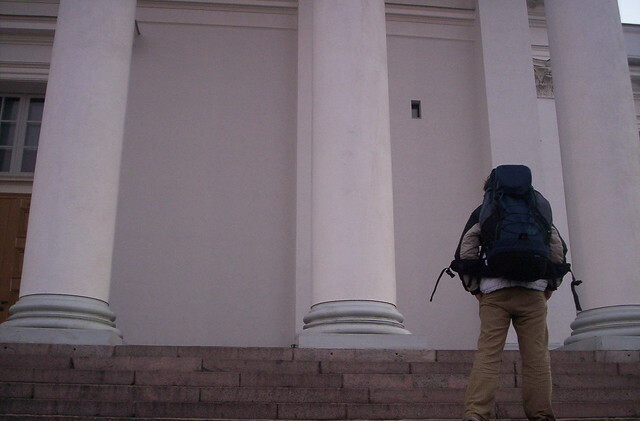 The height of the Helsinki Cathedral is 62 meters (203 feet), it has an organ, and it hosts masses and weddings. Myself, stepping up the stairs. A while ago, while re-visiting some photos from Finland, I found some pictures of the Helsinki Cathedral from the inside. That is something not everyone gets to see, either for lack of time, lack of will to climb up the stairs, or for not being interested in the Lutheran faith. That was the reason I remembered that there was no post about this Helsinki icon on Big in Finland yet. And since maybe not so many people might have seen it from the inside, I was encouraged to write this post. 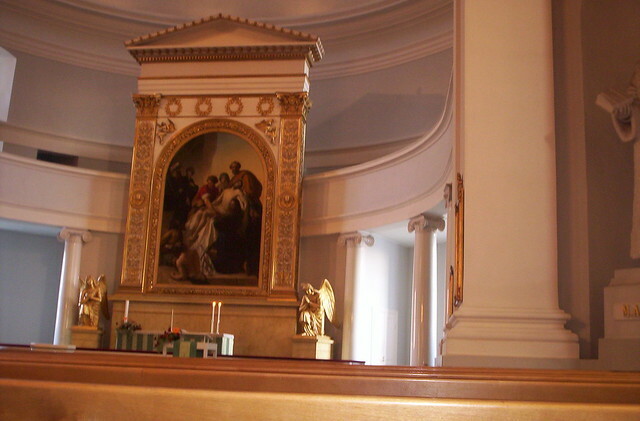 The most interesting thing about the interior of the white Helsinki Cathedral is its almost complete lack of ornaments. Lutherans were opposed to the worshipping of saints, since they rejected the Catholic notion that saints and virgins were closer to God than others. This makes the Lutheran cathedrals in general more sober than their Catholic counterparts in places like Spain or Italy, that have much more decoration, ornaments and history. The Helsinki Cathedral has an organ made in 1967 with 57 stops. It is quite beautiful and resembles the first organ installed in the cathedral, shortly after its construction. You can hear and see it in this video . The cathedral’s altar is very sober. 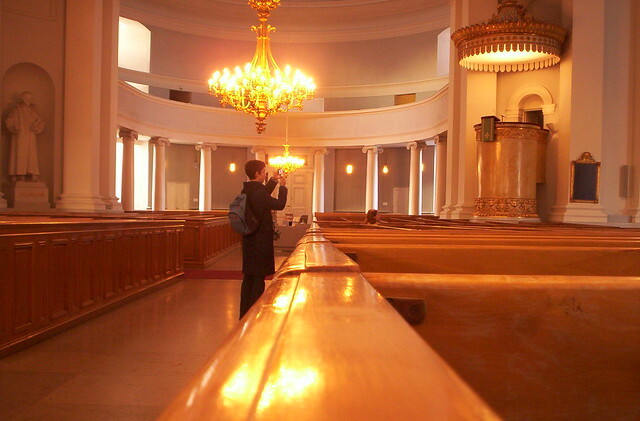 In any case the Helsinki Cathedral is a must-see when you travel to Helsinki, and entering it costs nothing, so we can add it to our list of low-cost (or free) activities in Helsinki . Its opening hours are from 9h to 18h every day, and for the months of Summer in Finland , until 24h. 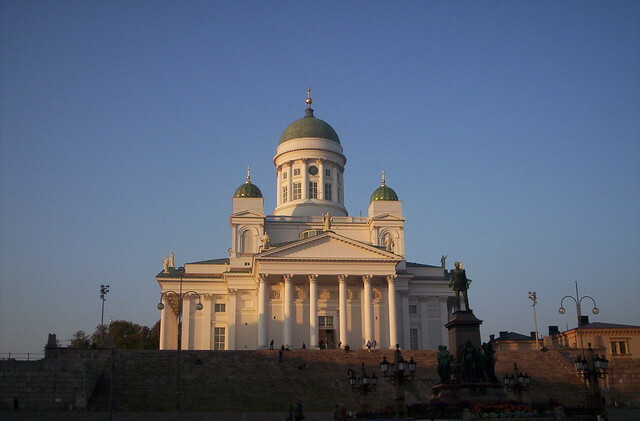 Do you also think about the Helsinki Cathedral as the iconic image of Helsinki? What do you think of first if not?